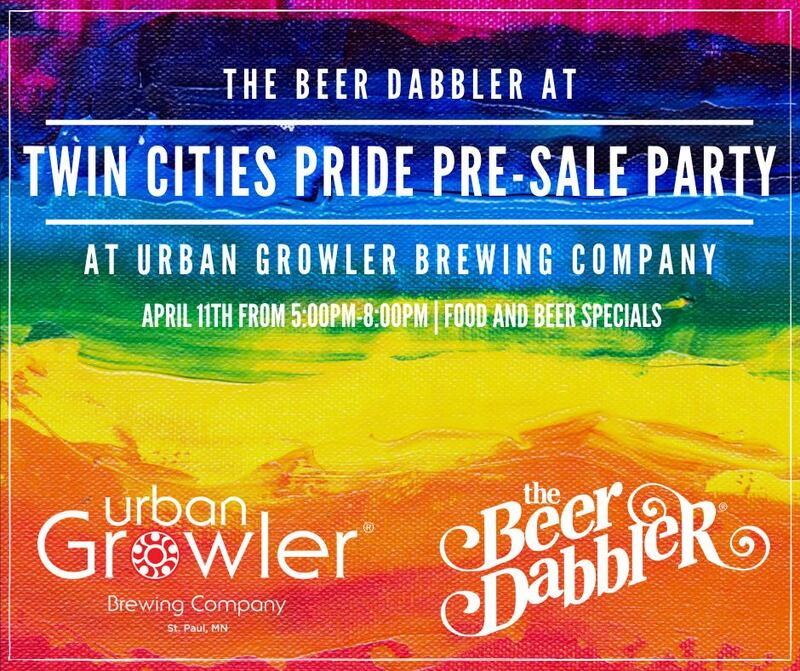 The Beer Dabbler at Twin Cities Pride returns to Loring Park on Friday, June 21 to celebrate the LGBTQ+ community and Minnesota craft beer. But first, The Beer Dabbler is ready to kick things off with a pre-sale party. Head on out to St. Paul’s Urban Growler Brewing Company on April 11 starting at 5pm where you can get your hands on food and drink specials and an opportunity to buy tickets before they go on sale online, fee free, cash only. A portion of every ticket sold benefits Twin Cities Pride to help support their mission of commemorating the LTBTQ+ community’s diverse heritage, fostering inclusion, educating and creating awareness of issues, and celebrating achievements in equality.